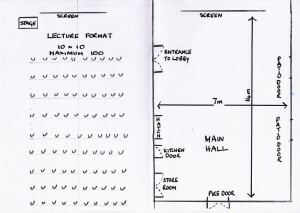 The main hall is 7m wide and 14m long. 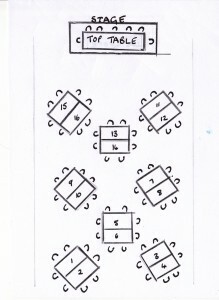 There are 100 seats and 16 tables (5′ x 2′.6″). There are also a number of small tables which are height adjustable. 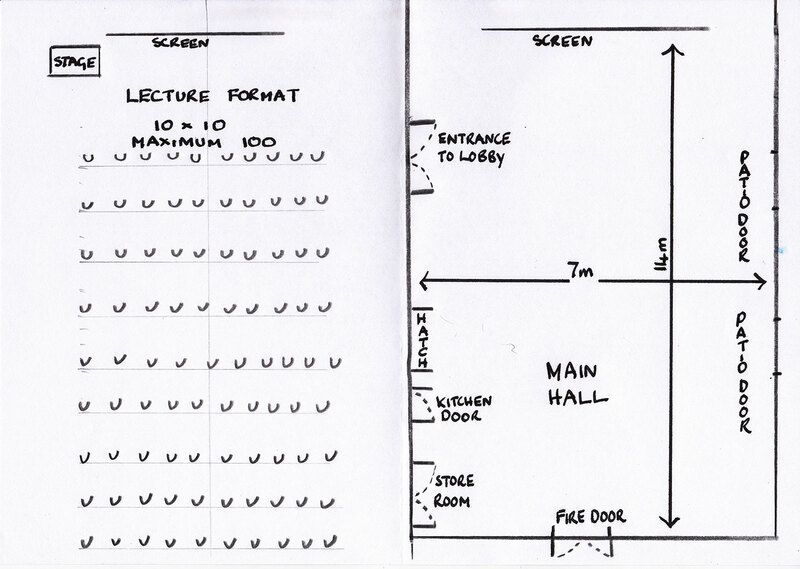 The stage is made up from 6 2m x 1m units and can be put together in a variety of ways depending on the event. 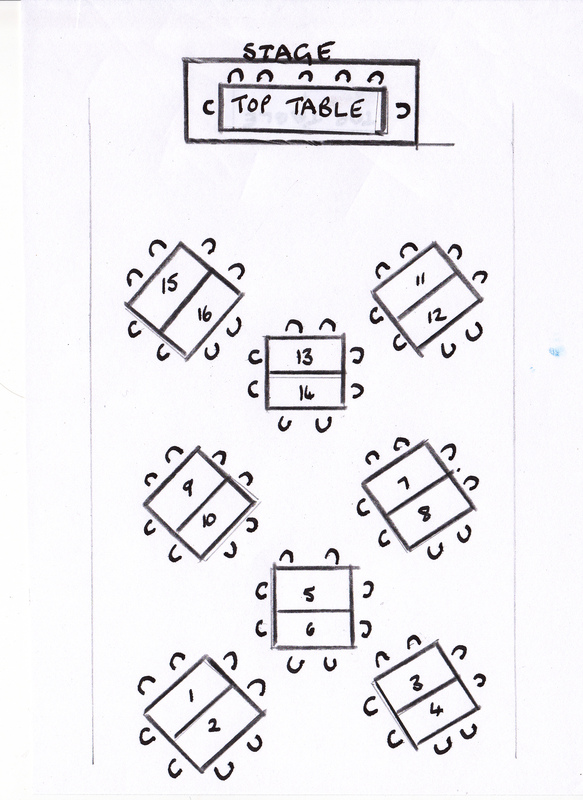 Various seating options are set out below. Please make sure that there is always access to the fire door. 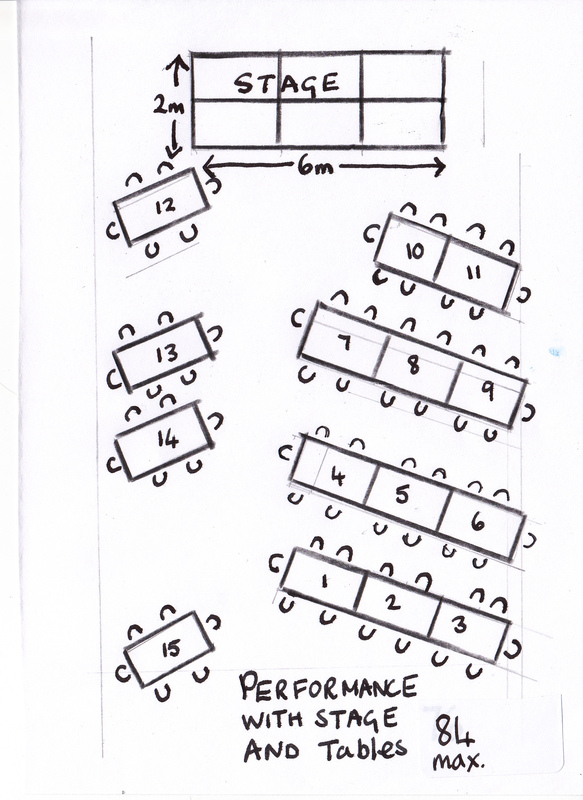 Layout for performance with tables. Maximum seated 84.